To create professional looking documents, you got to have an idea of all formatting tools. Each is within a mouse-click on the Ribbon. For instance, you can format blocks of neat paragraph with the Paragraph group on the Home tab. But we often overlook another important tool that could speed up our work across a multi-page Word document. The time it takes you to remove one hand and reach for the mouse adds up across the day. Keyboard ninjas know the time-saving benefits of shortcut keys 60 Essential Microsoft Office Keyboard Shortcuts for Word, Excel, and PowerPoint 60 Essential Microsoft Office Keyboard Shortcuts for Word, Excel, and PowerPoint Hundreds of keyboard shortcuts are available in Office, but these are the most important ones you should know because they will save you a lot of time. Read More . Microsoft Word has lots of them. Some shortcuts are essential, and then you can tie some of them to muscle memory with a bit of practice each day. Here are a few paragraph-formatting commands you should exercise with because manipulating a paragraph into shape is the basic job on any document. Use the Ctrl key to call them up. The Paragraph dialog box gives you more fine-tuned controls. 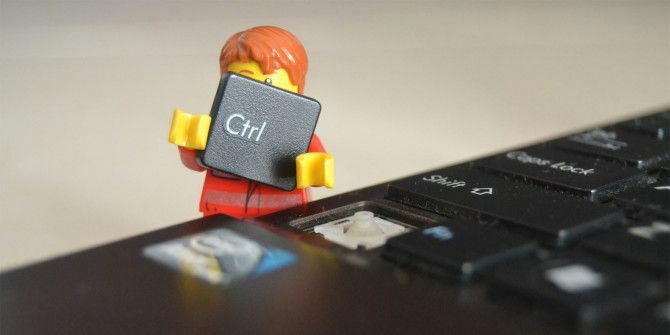 But these shortcut keys can be time-savers in their own right. Are you on solid ground with Microsoft Office shortcut keys? Can you quickly format a paragraph with confidence? Explore more about: Keyboard Shortcuts, Microsoft Office 2016, Microsoft Word, Productivity. Aaarghhh! Do yourself and others a favour and learn to use styles properly instead of direct formatting. It is much easier for everyone involved in the long run. Unless you are just knocking out a quick personal letter you'll never use again, in which case knock yourself out - but even then, you're better off creating a template with proper styles you can re-use in future. That's true of course. But there's more than one way to cook the goose. And shortcuts are helpful as well -- as you say -- for knocking out one-off documents.